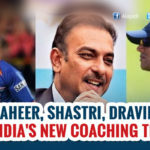 Karnataka batsman Karun Nair on Monday entered an exclusive club, joining Virender Sehwag as the second Indian to score a triple-century in Tests. Nair, in his third Test, finished not out on 303 as India declared with their highest score in Tests, a massive 759/7, at the iconic MA Chidambaram Stadium in Chennai. 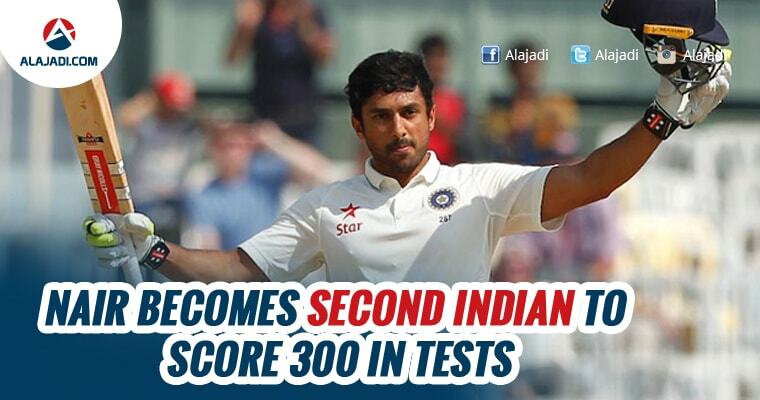 At 25 years and 13 days, Nair also overtook Sehwag’s Indian record of youngest Test triple-centurion. Sehwag who tweeted his congratulations to Nair – had been 25 years and 160 days in 2004 when he hit that epic 309 against Pakistan in Multan. In the 5th Test against England, Nair scored 303 runs from just 381 balls at a strike rate of 79.52. This 25-Year-Old is the only Indian cricketer who converted his first century to triple ton. Only two more cricketers across the World had achieved this feat before. 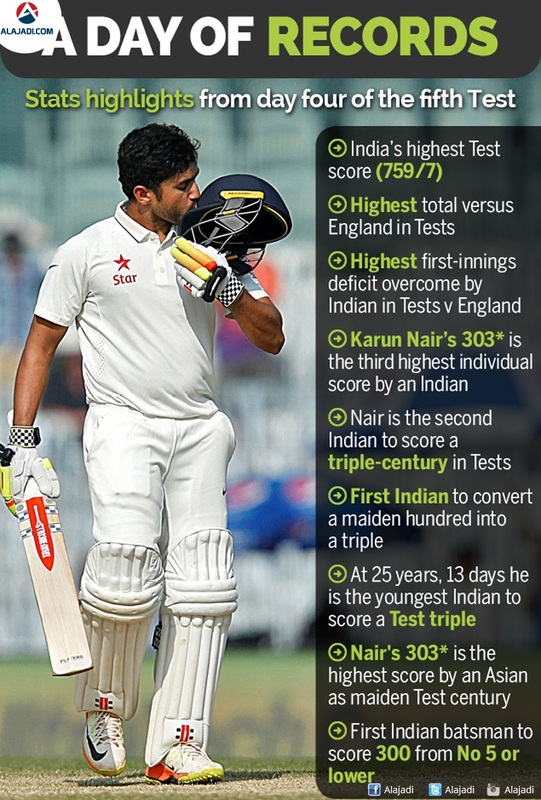 Who is this Karun Nair? He was born on December 6th, 1991 in Jodhpur of Rajasthan to a Malayali Family. Initially, He represented Karnataka as an Under-15 cricketer. 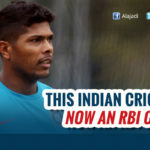 Then, He secured a spot in the Under-19 Team of Karnataka. By playing Vijay Harare Trophy in 2012, He made his entry into first class cricket. He represented Karnataka in Ranji Trophy from 2013. In 2014-15 season of Ranji Trophy, Karun Nair scored 700 runs at an average of 47.26. He was instrumental in helping Karnataka win the Ranji Trophy during that season. He stood only next to Robin Uthappa and KL Rahul in terms of runs representing Karnataka in this season. In 2016, Nair represented Delhi Daredevils in the cash-rich IPL. He stood as the second highest scorer in the team. Karun Nair made his international debut while playing against Zimbabwe. His test debut happened during the ongoing series with England and cemented his place in the team with a triple century during the final test match. Virat Kohli declared India’s innings as soon as Nair soaked up the applause for his out standing 303. India’s 759/7 is also the highest total ever scored against England in Tests.